Weddings, Sleigh & Hayrides, Lessons, Boarding and Training. We offer balance seat riding lessons for students of all ages and abilities, and a variety of horses to ride. All lessons include grooming and tacking time. Want to try driving? We offer lessons in singles, pair, and draft team hitches, year-round. We do not have an indoor facility, but what better way to enjoy winter than driving a sleigh in the snow? We offer field rides three seasons of the year. This is an easy ride through about 40 acres of fields. Includes basic instruction in the ring. All rides are tailored to the least experienced rider. Minimum age of 10yrs. Come enjoy a two-and-a-half-mile ride through our woods! Great for family gatherings or business functions. Hayrides are offered year-round. Snow conditions permitting, your ride will be on a sleigh. Rides generally last 45 minutes to an hour. Groups needing two wagons or sleighs, 25-person minimum. Wagons hold approximately 20 people, sleighs hold approximately 15 people. Hayrides are offered off-site. 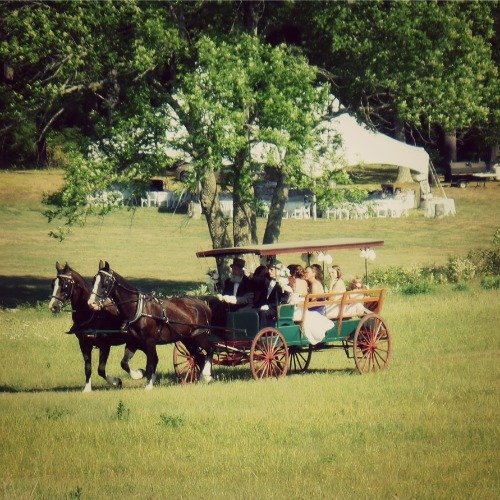 Carriage services are offered on or off-site for all occasions – casual or formal. 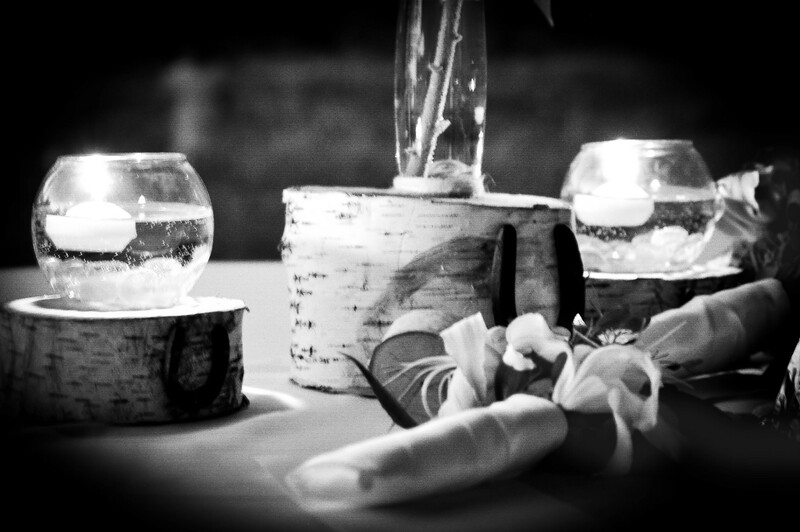 Every event and it’s requirements are different, so please contact us for a customized quote. An appointment to view our vehicles and photo album is strongly recommended. In the beginning: Roscoe Sawyer married Rita Parsons in 1914 and later moved to the current Silver Ranch farmhouse in 1917. He began a dairy operation. By about 1930 while in the wholesale and retail business and raising five children he purchased a horse. It took no time at all to realize that more horses were needed for the children (and parents). In order for the horses to earn their keep they were rented out to the public. As the rental business grew even more horses were needed. In 1932 Roscoe moved a barn to the current location to house their expanding equine business. The name Silver Ranch came into being when Roscoe heard of a new aluminum paint guaranteed to rejuvenate the saddest of old lumber. When he looked into the product the company agreed to give him the paint as advertising. Every board was painted. Aluminum Ranch did not have a proper ring to it and so “Silver Ranch” was born. David and Alfred, sons of Roscoe, continued to grow the business to include an airport in 1946, an ice cream stand in 1954 and in 1957 a “hot side” (restaurant) was added. This was later followed by a gift shop. In 1970 a Yankee Shop (antiques) was added followed by a Candy Shop. David ran the restaurant and ice cream stand and his wife Betty was in charge of the gift shop. Alfred took over the stable from his father, Roscoe. In time Alfred’s son, Lee A. Sawyer worked with him and then eventually took it over. Harvey Sawyer was in charge of managing the airport after David Sawyer. In August of 1972 David Sawyer (son of Roscoe) was killed in an airplane crash on his way to Alaska. Being the business head of Silver Ranch it left a huge void. As a result the “Stand” (restaurant, ice cream, gift shop and candy shop were sold in the mid 70’s. Today the 3rd generation is overseeing Silver Ranch. The stable, managed by Lee A. Sawyer and the airport is run by Harvey Sawyer and his wife Lee S. and they continue to provide services to the public. The 4th generation is preparing themselves for the task of carrying on and the 5th generation is growing up exposed to the many tasks, adventures and fun of a family farm. We’d love to hear from you and answer any of your questions.